I picked up this notebook at my local Officeworks for AU$2.99. That’s right — three bucks. 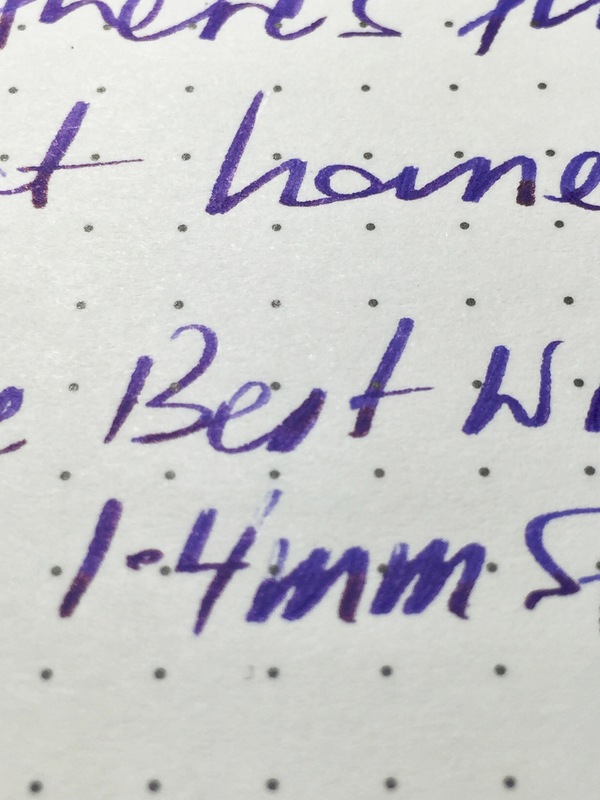 My expectations as to how it might perform under a fountain pen were therefore not overly high, however feeling the paper while in the store suggested it just might be a little better than expected. Home I went — not expecting much, however in the knowledge at worst it would end up a rollerball or gel pen notebook and at least see some use. What I ended up with was a whole lot more than that. 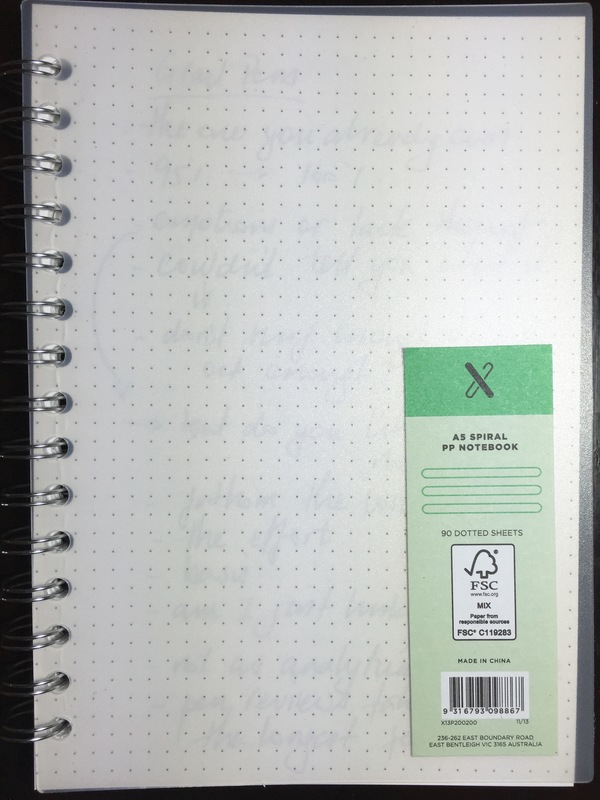 The X A5 PP Notebook is part of the broader range of ‘X’ series stationery at Officeworks, consisting of notebooks, paper, writing instruments and various other accessories. I believe these are an Officeworks “own brand” type line up. All would be considered reasonably priced, with many downright cheap, as is the case with the subject of this post. 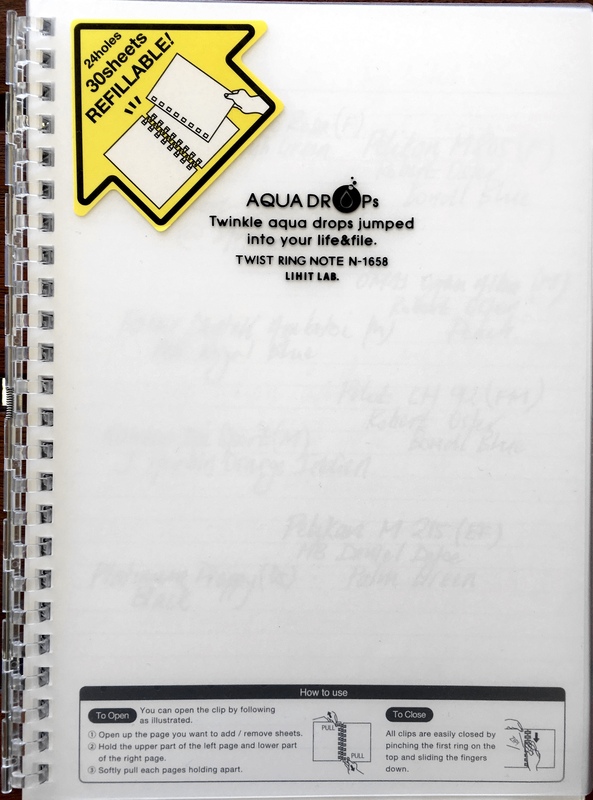 The A5 is a double spiral or wire bound notebook with slightly frosted, transparent, hard polypropylene (hence “PP”) front and rear covers. Also available is a variant with a ziplock pocket at the front and an elastic enclosure, for the princely sum of AU$4.99. 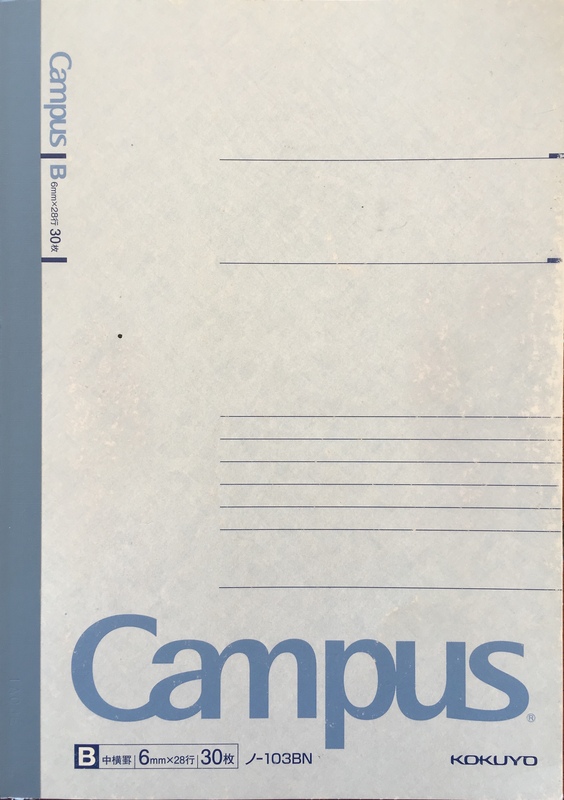 Apart from the branding sticker in the bottom right hand corner of the front cover, the notebook carries no other features or markings, which suits the simplistic design. 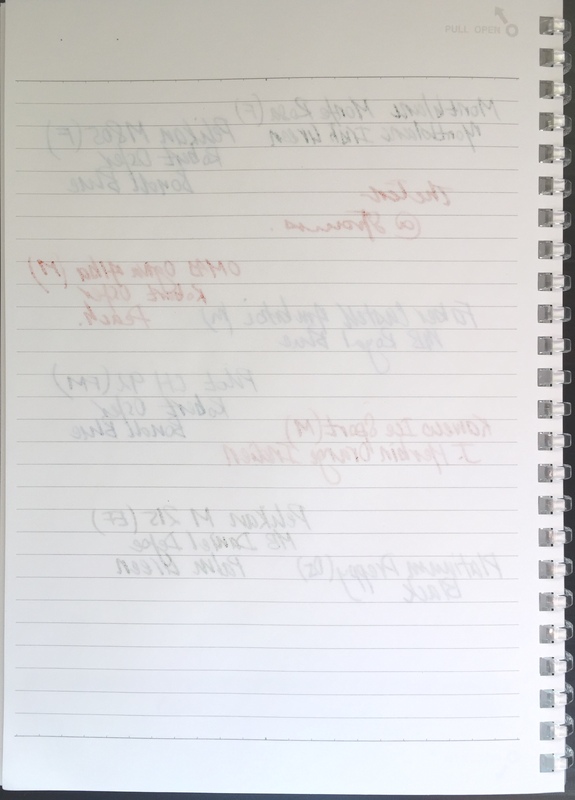 Given the cover is transparent, there is of course a great opportunity to decorate the first page as you please, and presto: instant personalised cover design. Commensurate with my overall design and creative abilities, mine remains blank. One other point to note is your usual preferences regarding binding in notebooks will of course apply. 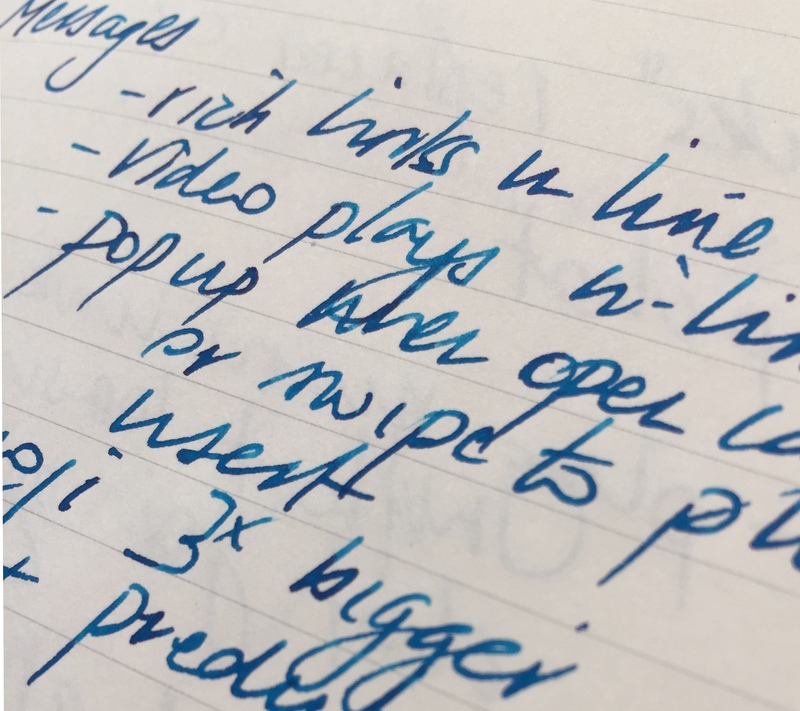 I know many find the large wire binding to get in the way of a fluid writing experience — particularly when writing on the left side of the page, or vice versa for left-handers. 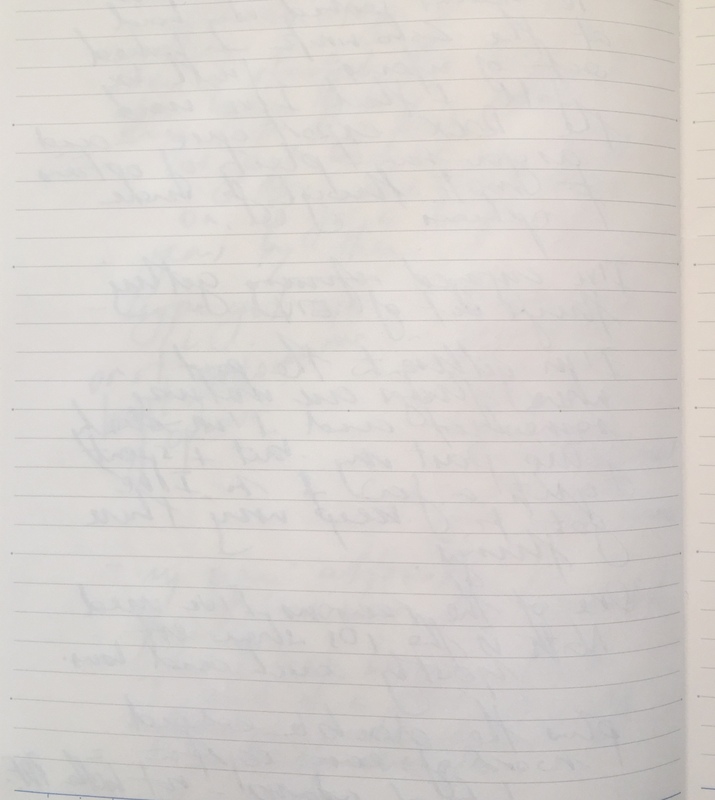 If that is how you usually find things in these notebooks, you’ll find it here as well. 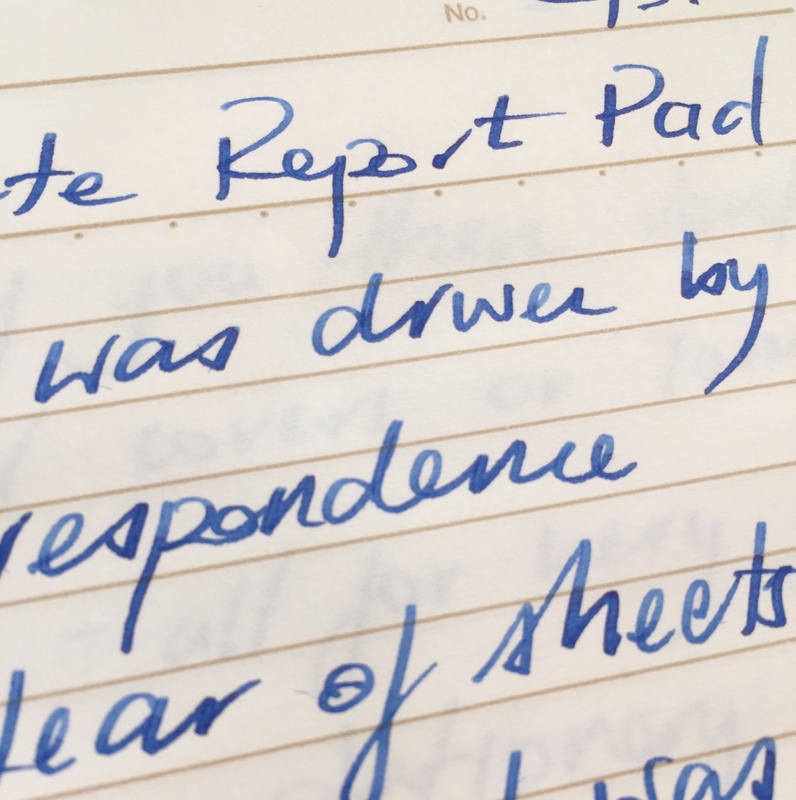 On a positive note, I’d say there is a medium amount of “wiggle” in the page when writing — also something I typically find characteristic of wire bound notebooks, which if excessive, can certainly be a deal breaker for me. They have done a pretty good job here. Overall, the X A5 has a robust feel to it, and for the price, is certainly not an unattractive notebook. Sure, it’s not likely to set your desk on fire in the style stakes, however the simplicity of the design ensures it won’t necessarily look out-of-place on that desk either — a characteristic often missing from items at the lower end of the market. As noted in the specifications above, the 80gsm white paper comes with a dot grid ruling and 180 pages — more than enough to keep you going though a few ink chambers of writing. 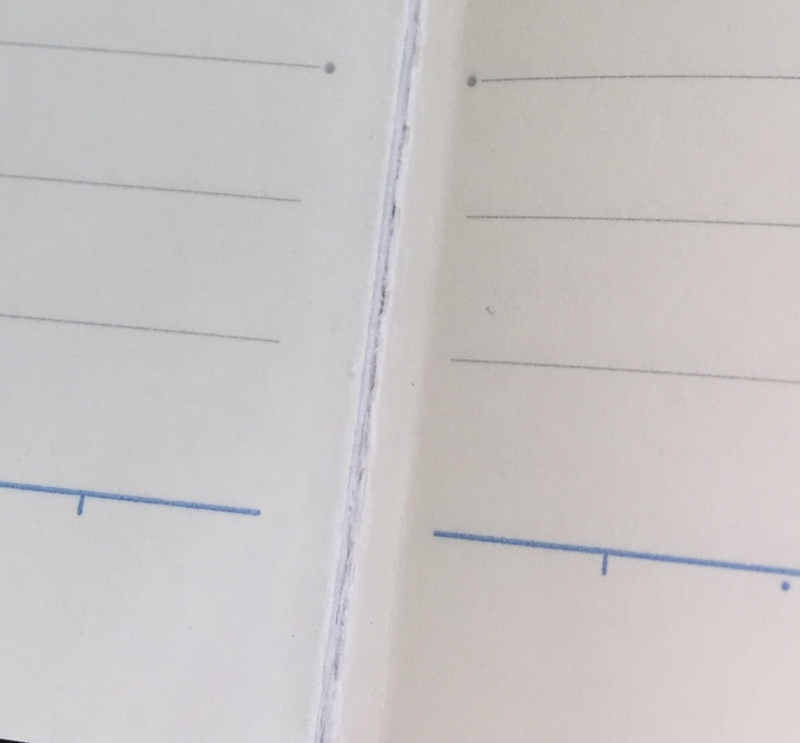 The pages themselves are not perforated, however tear out easily enough, and do not leave the entire edge of the sheet torn to shreds like some wire bound notebooks. It’s when it comes to writing on these pages that the real value for money here is hammered home. 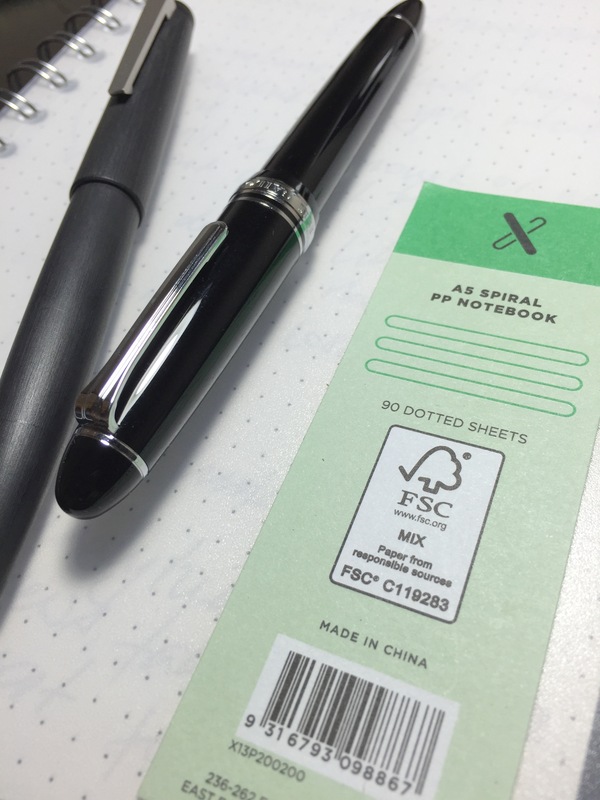 With fountain pens, this paper really does punch well above its price tag. 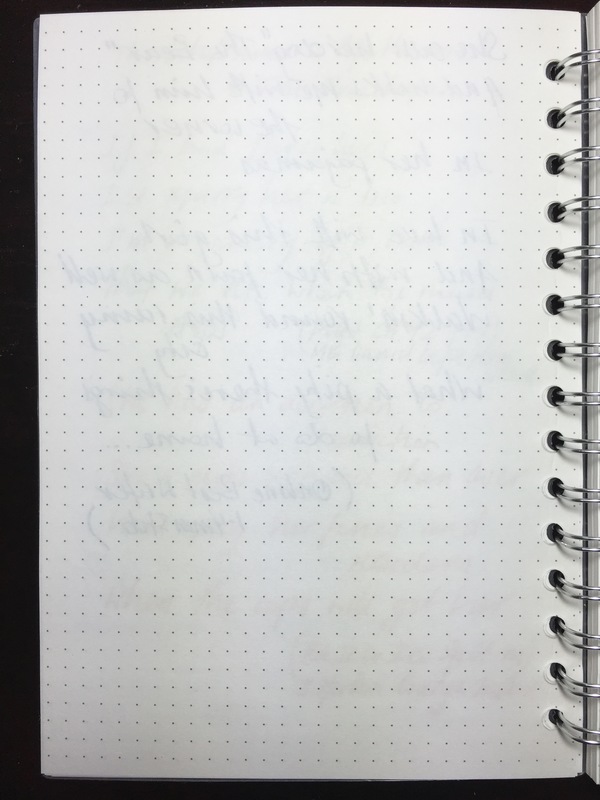 Certainly not as smooth across the surface as say Rhodia paper, however performance-wise it doesn’t suffer. 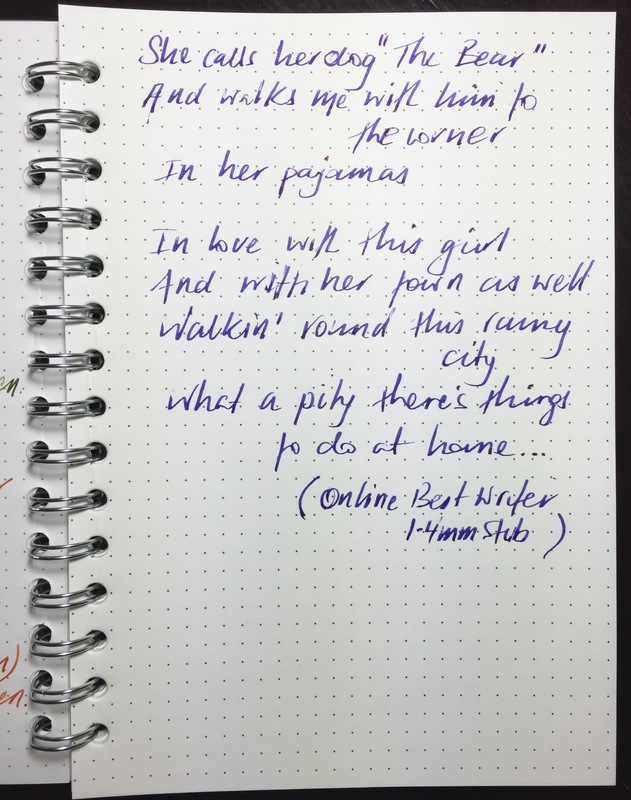 With finer nibs you’ll experience a little tooth on the page (something I prefer, as long as it’s just a little), however I would still describe the overall experience as a smooth one. Wider and wetter nibs only get smoother, with no feathering, show or bleed through the page. I’ve mentioned in the past I can deal with a little bleed or show through, but feathering drives me crazy. Remember I paid three dollars for this notebook. Of course as with any paper performing in this way, at times there will be issues with dry time if you are powering along, and testing shows typical inks will dry at around the 20-25 second mark, plus or minus 5 seconds or so for wetter or dryer inks. Of course it goes without saying its ability to handle rollerball, gel ink, or your standard ballpoint pens is assured. 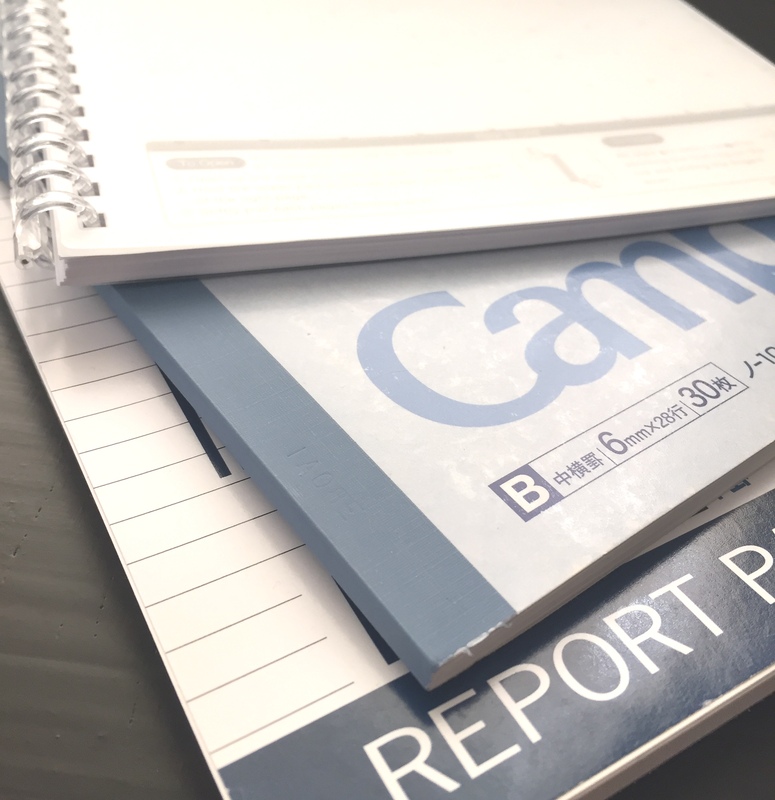 This is without doubt some of the best value 80gsm notebook paper going around, and is readily available online or at your local Officeworks store. 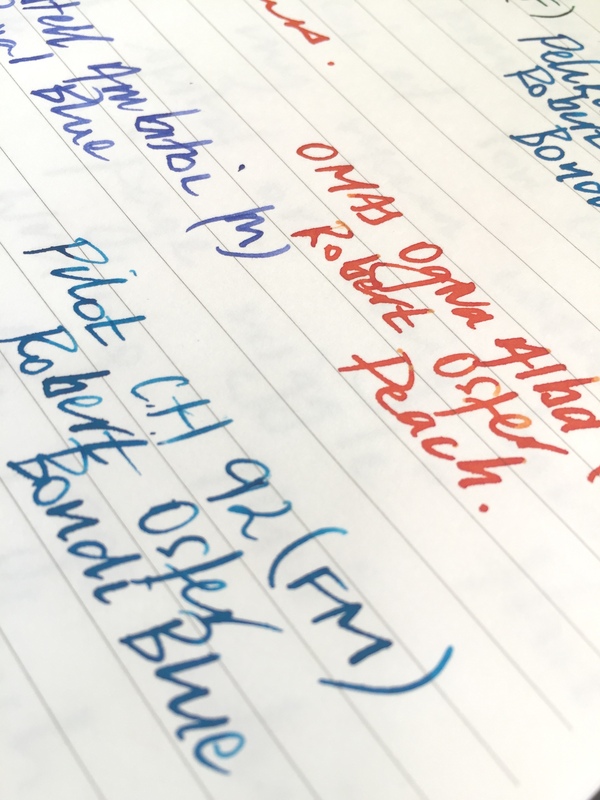 This post on The Fountain Pen Network would suggest I am not alone in this line of thinking. 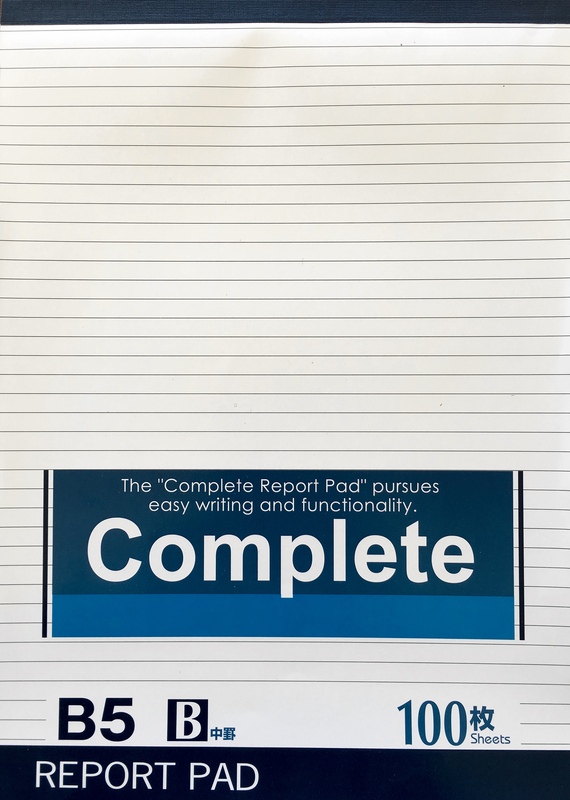 Having picked up this X A5 notebook on a whim, when “back to school” shopping at Officeworks with my kids, the hope was it might be a reasonable quality, cheap notebook to have lying around. It turned out to be way more than that. 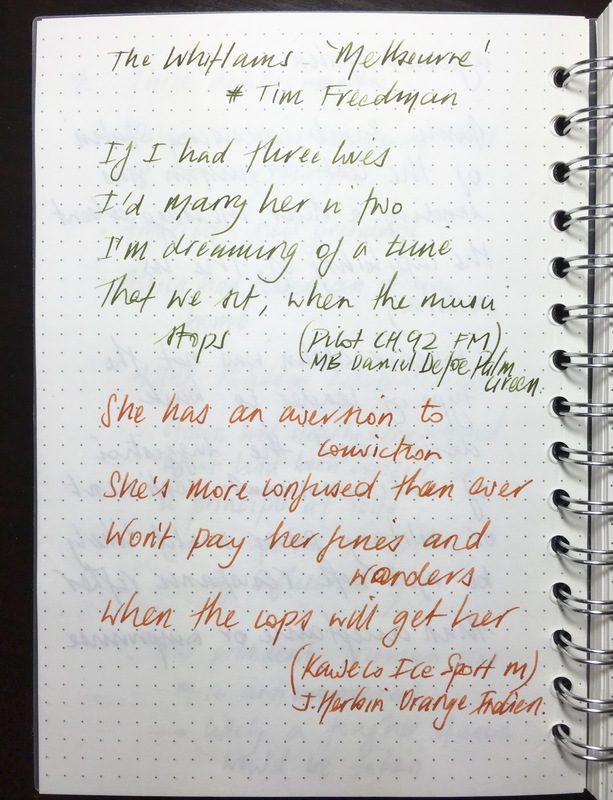 Of course it won’t replace your Rhodia No. 16, but wow, it’s a heck of a lot closer than you might think, and I’m certainly likely to be back for more. It would indeed be a great option to accompany the purchase of a new Pilot Prera fountain pen if that’s why you entered the store. Well done Officeworks — extremely well done.